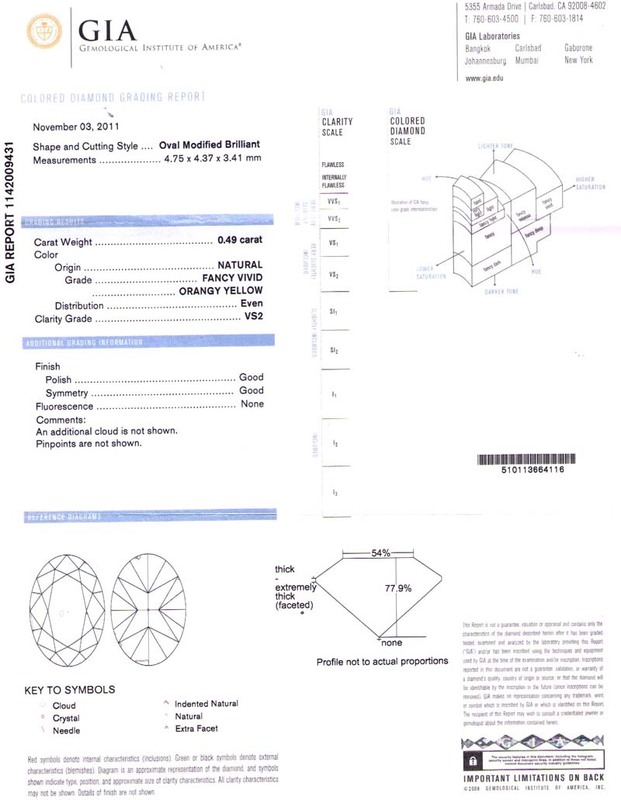 B8392 Radiant 0.50 ct. Fancy Vivid Orange Yellow I1 $2,750 View Comp. 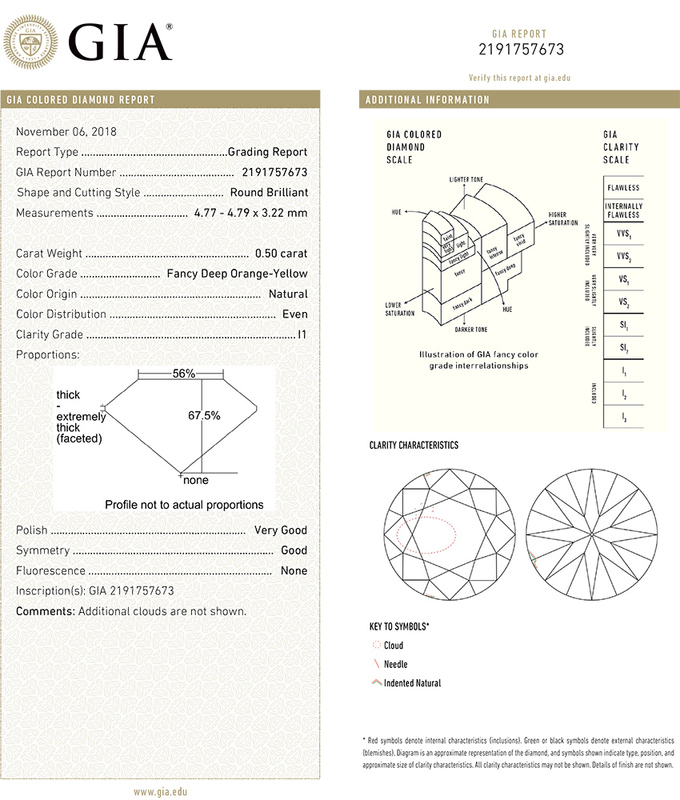 B09375 Round 0.50 ct. Fancy Greenish Yellow SI1 $1,500 View Comp. 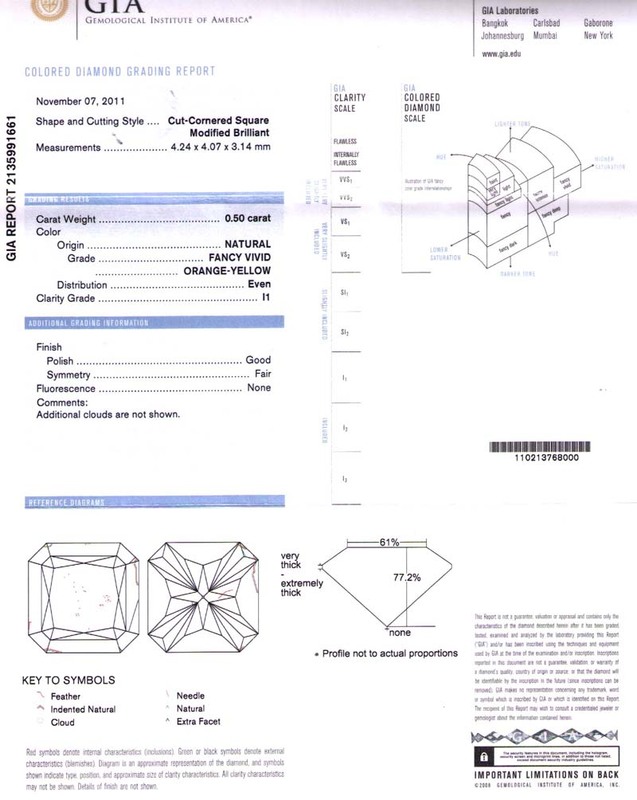 BA09441 Round 0.50 ct. Fancy Deep Yellow Orange I1 $1,400 View Comp. 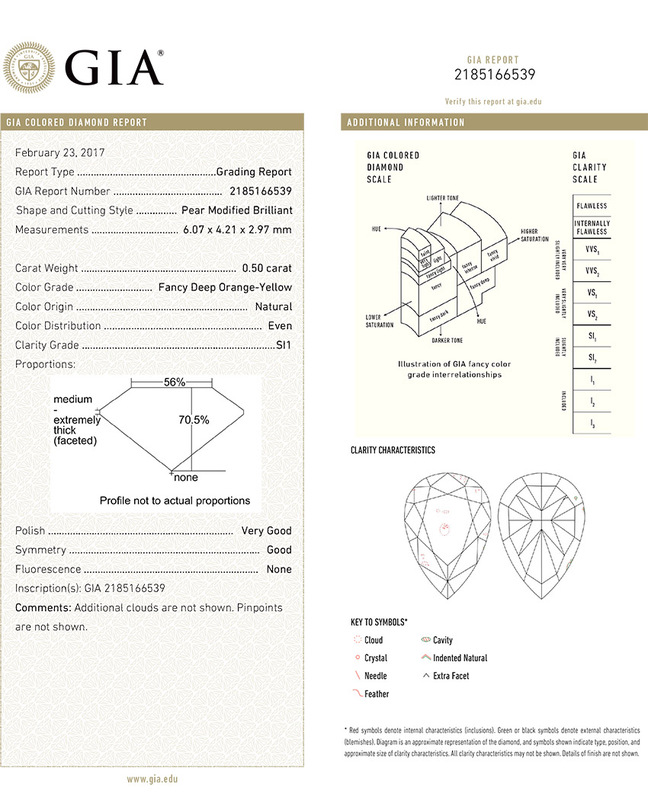 AA8095 Pear 0.50 ct. Fancy Deep Orange Yellow SI1 $1,650 View Comp. 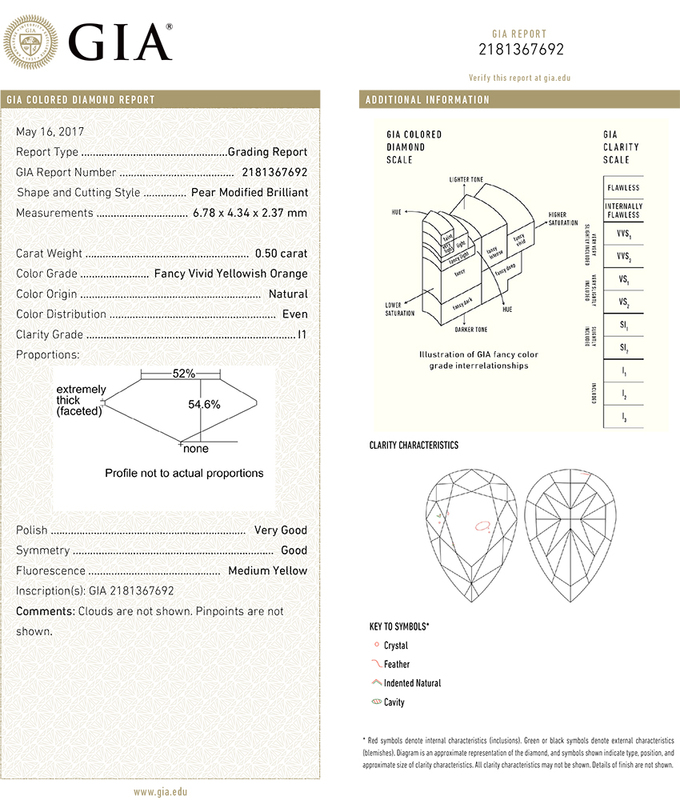 BA09555 Pear 0.50 ct. Fancy Vivid Yellowish Orange I1 $7,500 View Comp. 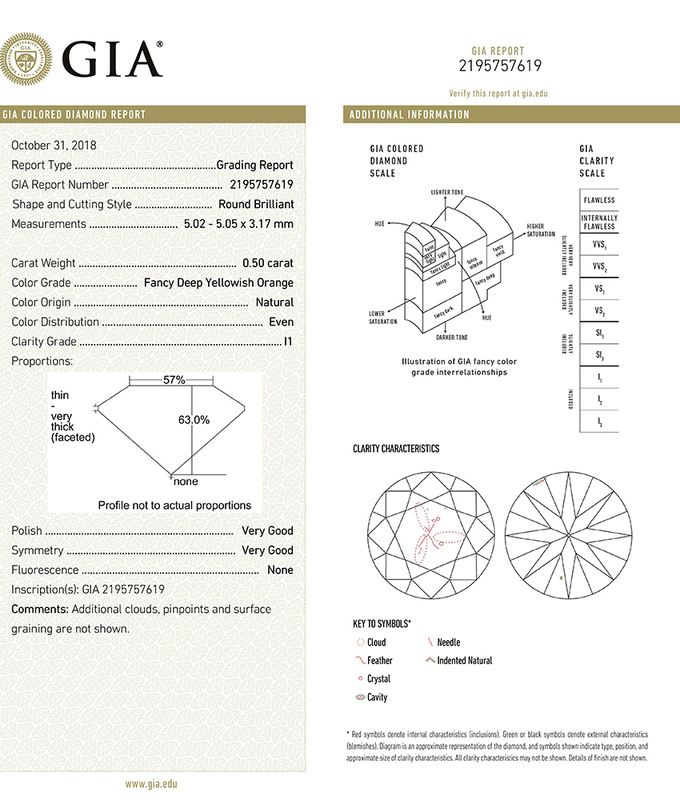 BA8019 Round 0.50 ct. Fancy Deep Orange Yellow I1 $2,000 View Comp. 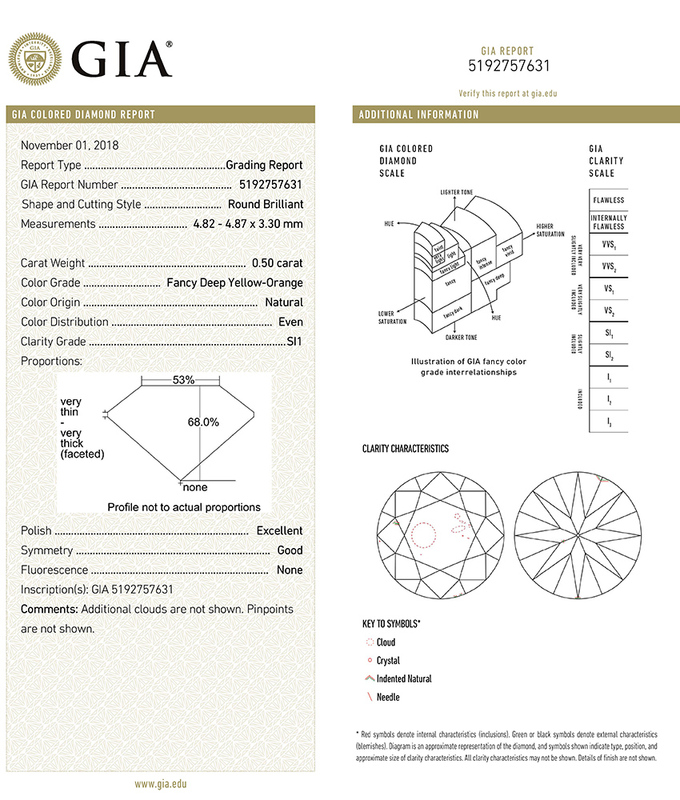 BA8016 Round 0.50 ct. Fancy Deep Yellowish Orange SI2 $3,000 View Comp. 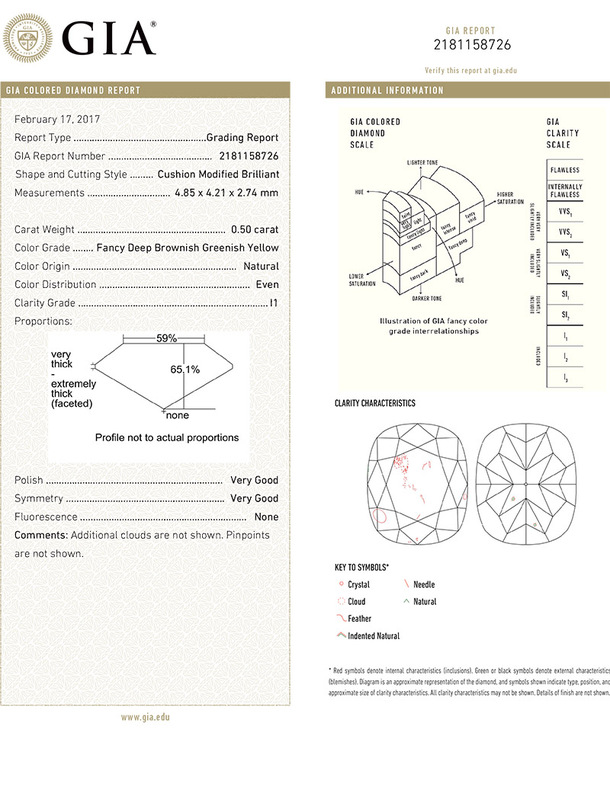 BA8018 Round 0.50 ct. Fancy Deep Yellowish Orange I1 $3,000 View Comp. 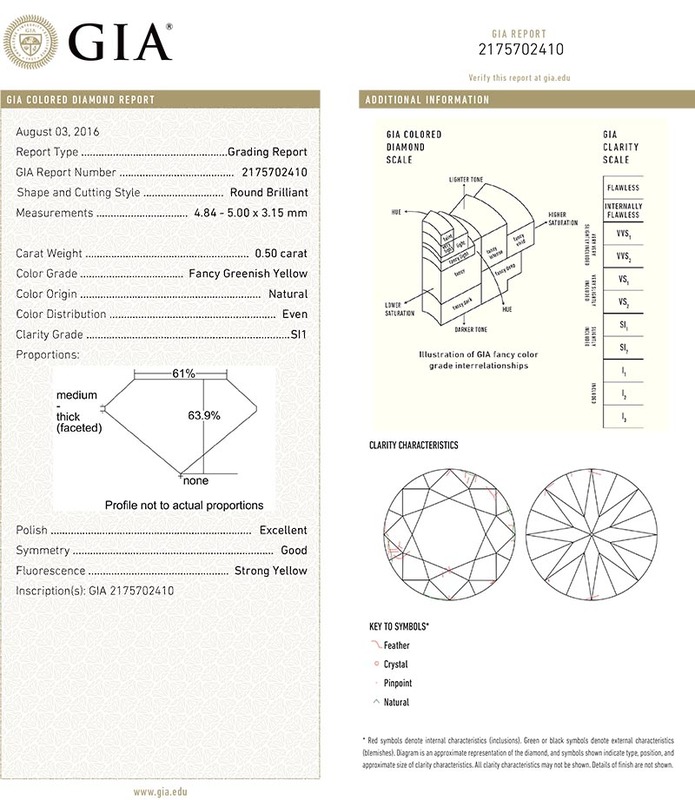 BA8020 Round 0.50 ct. 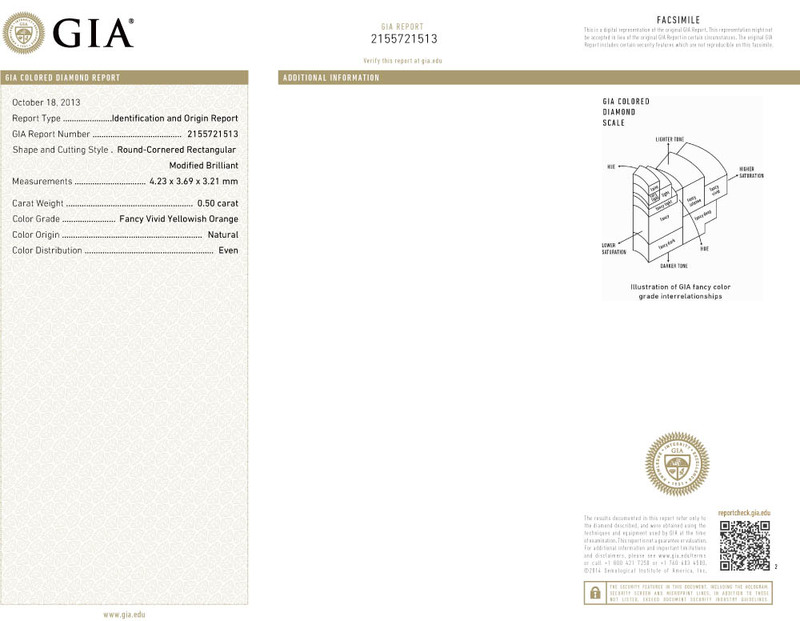 Fancy Deep Yellowish Orange SI2 $3,000 View Comp. BA8017 Round 0.50 ct. Fancy Deep Yellow Orange SI1 $2,500 View Comp. 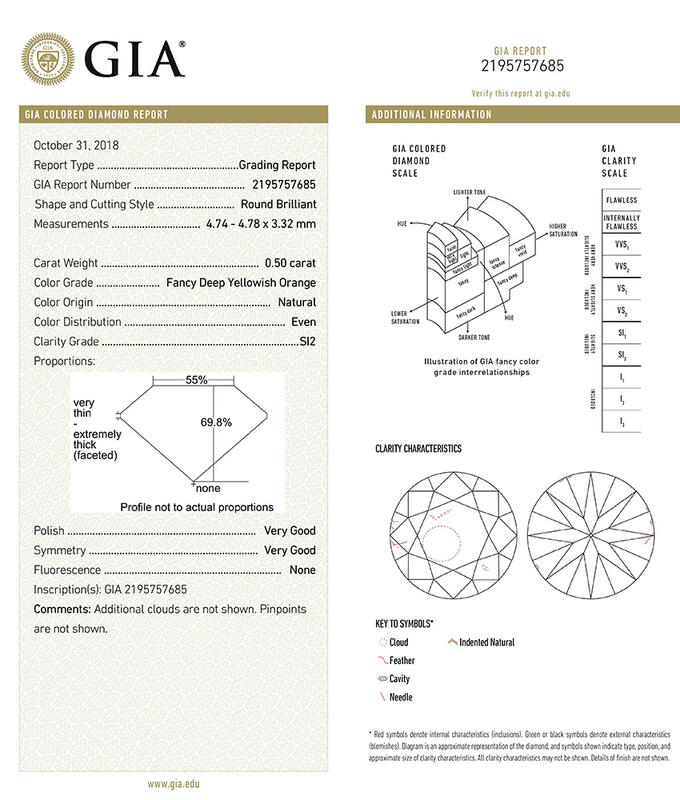 B8390 Oval 0.49 ct. Fancy Vivid Orangy Yellow VS2 $2,842 View Comp. 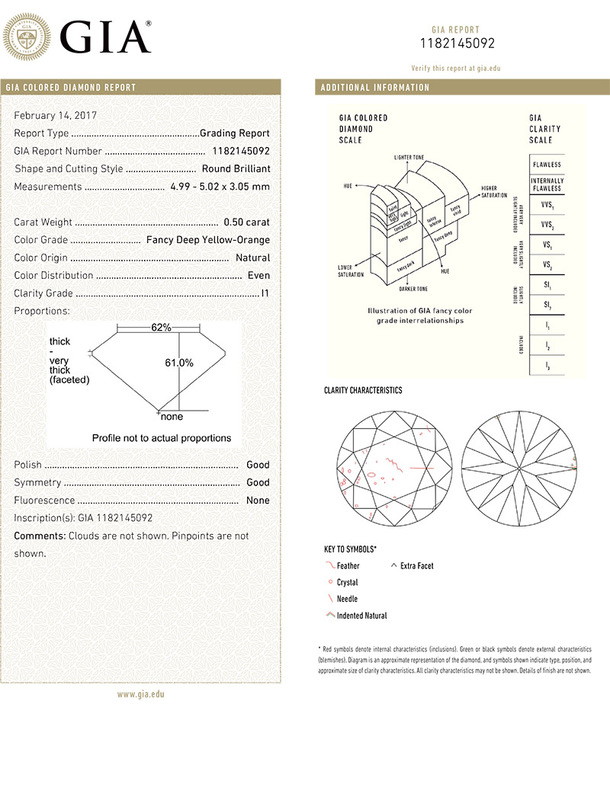 AA8058 Oval 0.47 ct. Fancy Intense Yellow VS1 $2,538 View Comp.